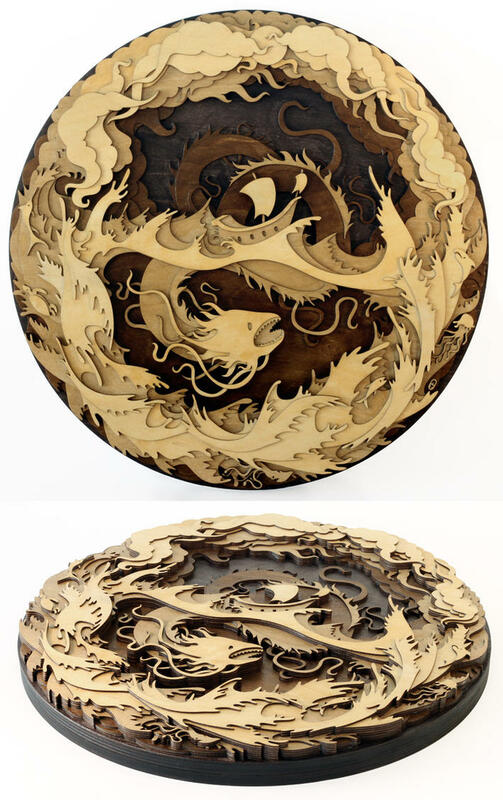 “Layered, laser cut, plywood illustration. Inspired by my friends father who recently passed away, he loved fishing and mounted his own fish. “Laser cut, stained, plywood frame and backing with etched brass centre piece, designed, cut and assembled by myself. This was a long running commission for [link] to go in his amazing new house. It took much longer than anticipated but it was important to get it right. “A4 laser cut, stained plywood illustration and message. “Custom A3, laser cut, layered plywood illustration with personalised message. Massive thanks to [link] for commissioning this! Based on my original Tree of Life [link] which was a one off, this is a smaller, more affordable version that’s available to all! 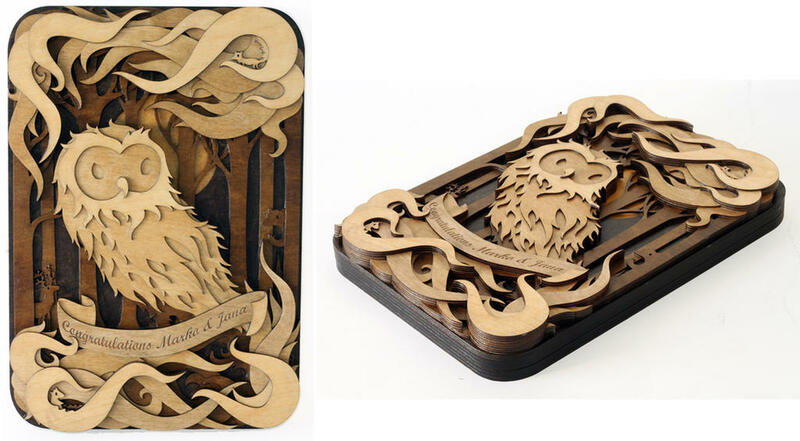 “Layered, laser cut, plywood illustration. Approximate size is 200mm by 710mm and 25mm depth. © 2013 All rights reserved. The entire images in this site are completely courtesy of Martin Tomsky and are for private use only. Any unauthorized duplication, editing, exchanging or broadcast of the site or any part thereof is strictly prohibited. 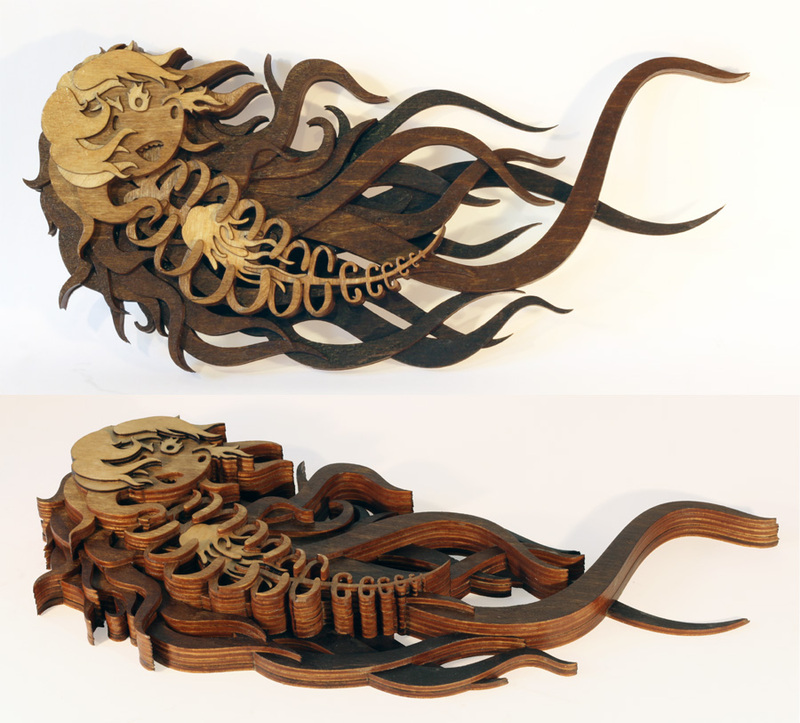 This entry was posted in Art and tagged art, Laser, Martin Tomsky, sculpture, wood, Woodworking. Bookmark the permalink. Reblogged this on Soğuk Kuş Etkisi.